By tomorrow, July 1, people in Cuyahoga County can begin texting 911 for their emergencies. This option makes it easier and more effective to tell 911 operators about a crisis. This is a critical and love overdue need for those in the Deaf and hard of hearing community. More than 25,000 people in Cuyahoga County are hard of hearing. When someone sends a text within the city of Cleveland, it goes to the Cleveland dispatch center. Text messages sent outside of the city limits go to the Cuyahoga Emergency Communications Center. Text messages sent to 911 operators must include the person’s location and the details of their emergency. A bounce-back message sends to your phone if you try to text 911 in an area where the service is not available. A bounce-back message alerts you that your message did not go through to an operator. The following Ohio counties where 911 texting is available include: Butler, Cuyahoga, Geauga, Hamilton and Montgomery. The Federal Communications Commission (FCC) still wants people to call 911 if they can. 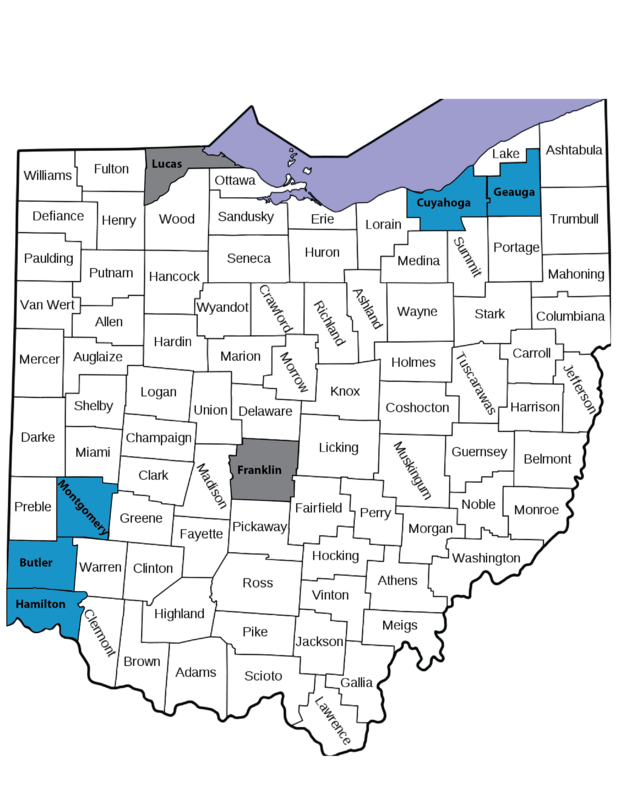 Blue indicates the counties in Ohio that offer 911 texting capabilities. Grey indicates counties that are planning to offer the service in the near future. On the map, the counties in blue show areas where people can text 911. The counties in grey are areas that are planning to offer the service for texting 911 in the near future. A full list of the Text 911 Registry is also available to download and view. This list is updated and published each month by the FCC.